The astronomers feel that the unusual blast likely arose when a star wandered too close to its galaxy's central black hole, where powerful tidal forces tore the star apart, and the infalling gas continues to stream toward the hole. According to this model, the spinning black hole formed an outflowing jet along its rotational axis. A powerful blast of X-rays and gamma rays is seen when this jet is pointed in our direction. 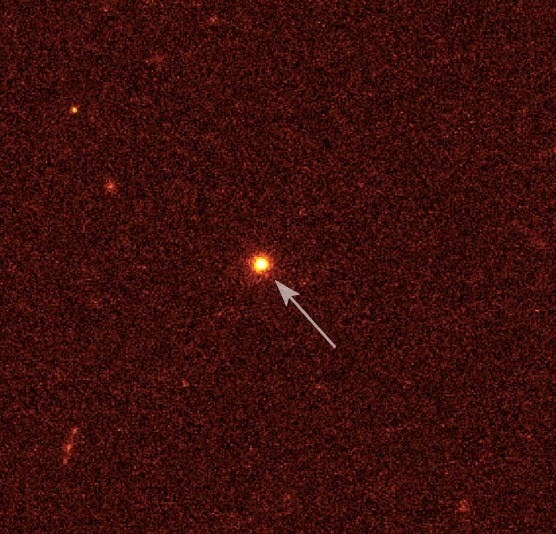 On March 28, 2011, Swift's Burst Alert Telescope discovered the source in the constellation Draco when it erupted with the first in a series of powerful blasts.Swift determined a position for the explosion, which is now cataloged as gamma-ray burst (GRB) 110328A, and informed astronomers worldwide. "We have been eagerly awaiting the Hubble observation," said Neil Gehrels, the lead scientist for Swift at NASA's Goddard Space Flight Center in Greenbelt, Md. 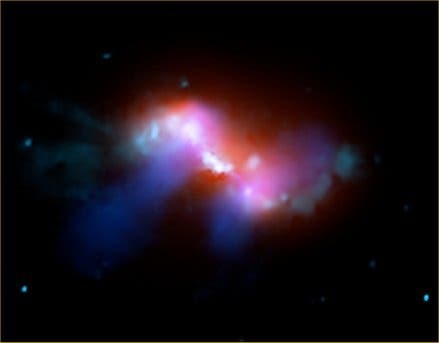 "The fact that the explosion occurred in the center of a galaxy tells us it is most likely associated with a massive black hole (image top of page of black hole in constellation Draco). This solves a key question about the mysterious event."